Paul reminds us that our baptism was more than just a dunking in water. In baptism, we shared in Jesus' death, burial, and resurrection. What he did to save us is now shared with us. We die to sin and are raised to be a new person, cleansed and made holy, empowered by the Holy Spirit. 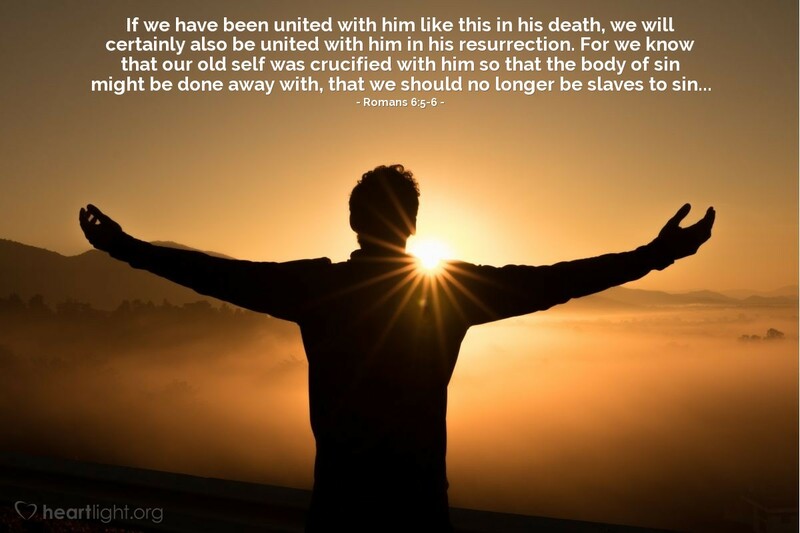 We have been set free from the power and the penalty of sin. Father, thank you for giving me new life in Jesus. I am truly thankful that my guilt is covered by your grace. I ask for the power to live my life of freedom from sin. Forgive me for my times of mediocrity and flirtation with sin. Give me a strong sense of revulsion toward anything that would pollute my soul or distract my heart from your will. In the name of Jesus I pray. Amen.